Payne Family Homes proudly presents Ashford Knoll, an exciting new homes community in an exceptional Cottleville location! Payne Family Homes is offering the Lifestyle l and ll Series of homes in this intimate, single entrance community of only 76 homesites. Choose from ranch, 1.5 and 2 story designs. 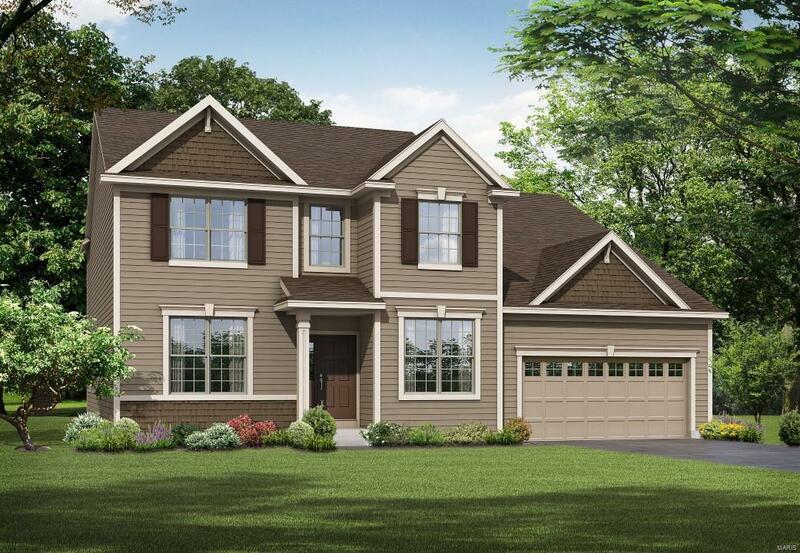 The Montego II is a 4 BD (plus a loft), 2.5 BA, 1.5 story with 3,090 sq ft. Standards inc 3 CAR tandem GARAGE, 9 ft ceilings, 36 inch cabinets, Kitchen island, walk in pantry, Frigidaire appl, MAIN FLOOR MSTR BDR, dbl bowl sink in the Mstr Bath, 6 ft marble shower with seat, HUGE Mstr closet, W/I closets in every bdr, Jeld-Wen Low E windows, 50 gal water htr, full yard sod and prof landscape. Enjoy the quaint, intimate setting of nearby shops and restaurants in Cottleville or the many services and recreation on Hwy K in OFallon. There is easy access to Hwys 364 and 40/61. Fantastic location, desirable schools and beautiful floor plans capturing the distinctive Payne Family Homes style! Listing information © 2019 Mid America Regional Information Systems, Inc. Information from third parties deemed reliable but not verified. Data last update 2019-04-24T21:49:05.773.